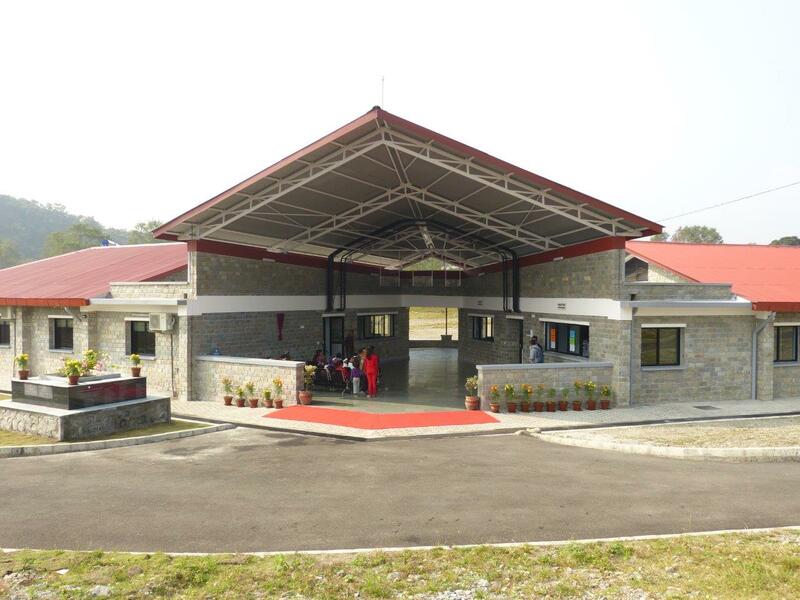 After a long period of planning - over 4 years and about 19 months of construction, we are very glad and thankful, that the new INF hospital for ear-problems in Pokhara is ready to take patients in. 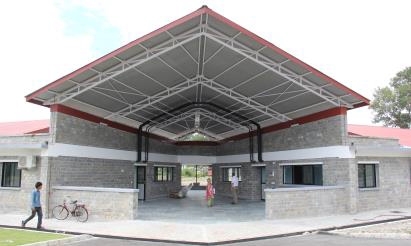 Our Provide employee was heavily involved in the planning and installing electricity at the facility. On November 3rd the hospital opened its doors, starting up with a 2-week Camp for patients with ear-problems. In cooperation with our Nepalese partner, Provide supports the implementation of renewable energy in hospitals and other medical institutions for non-governmental organisations (NGO`s) in Midwest Nepal. 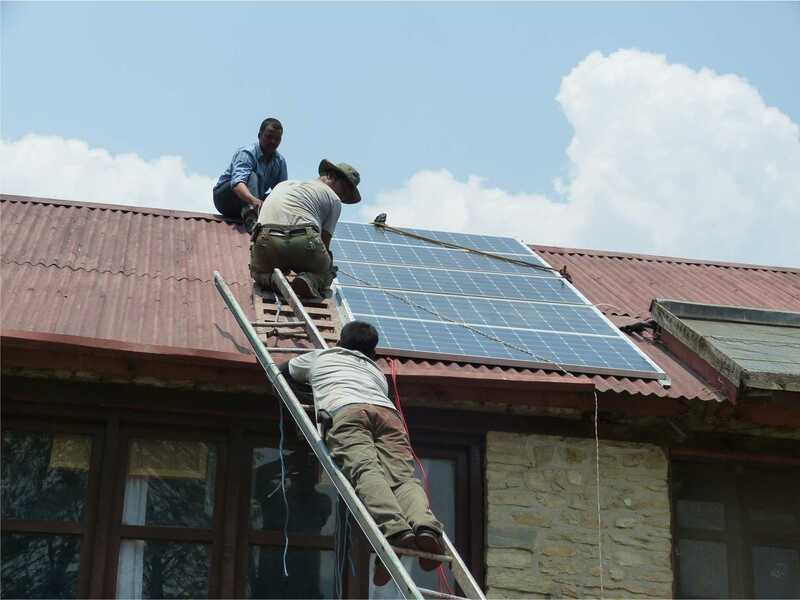 During the next 2 years, more than 25 small photovoltaic systems and solar hot water systems for hospitals, day clinics, nutrition centers, rehabilitation centers and other development projects will be designed and, with the help of the local government, will be made available to the Nepalese. In addition to this, our international Provide employees train and consult local NGO`s in the areas of energy usage, project management, financial management, technology and foreign languages. Local NGO-employees are also trained in the spheres of energy conservation, climate change and environmental protection. 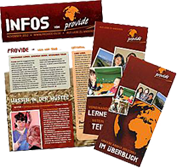 Provide also supports and provides consulting for local NGO`s in areas of needed construction for clinics and hospitals. After successfully finishing the construction of a new day clinic for skin deseases and a training center for disabled people in Pokhara, a new specialized clinic for ENT and the extension of other hospitals are next on the schedule. Our Provide employees in Nepal also support development projects in other countries of Southeast and Central Asia through training and project analysis. The projects that Provide is involved in by support and consulting annualy benefit around 50,000 Nepalese and promote healthy relationships and a responsible use of energy and the environment. If you would like to get in touch with the project leaders, please leave a note here, marked: "Nepal"
First, we drove twelve hours by minibus to Nepalgunj on the Indian border. There we loaded the SUV in the evening, so we would be able to leave for the mountains early the next morning. We wanted to reach the city Manma in Kalikot before 7pm. However, due to the extremely bad roads and our almost 800 kg of cargo, evening came and we were not there yet. We decided to drive on at night, which was pretty risky. The rocky mountain passes, often only gravel and scree slopes, run along deep gorges of about 500 meters, and this without any barriers. You hardly dare to look down. At 9pm a tire burst on a steep passage. At a 20-degree inclination - in the dark - we changed the tire and finally reached Manma at 11pm. At 6am the next morning, we moved on. But already about 5 minutes later we had to take another break, in the middle of a very narrow road in the mountains - with a rock wall going up on the left and a deep abyss on the right - our last spare tire had burst. We couldn`t move on. The trucks behind us and the oncoming vehicles bunched up, their drivers honked and gestured wildly. We tried to maneuver our car despite the flat tire to a safe place where trucks and cars could pass. At the end of an hour that was filled with honking horns, we finally managed to have the car in a safe spot. We waited for another hour, until another car with the same size of tires rolled by. It was the leader of a road construction company that was working further up the mountain, building the roads for the government. He was friendly, let us borrow his already repeatedly patched spare tire, and we were able to transfer half of our cargo into his pickup to relieve our SUV. Together we went to the yard of his company, where we were able to mend our broken tire. After some negotiating, the construction company leased us another pickup, so around noon we continued our way to Jumla, this time as a caravan. The next morning we split up into two teams. One of the teams brought the material, with some help of carriers, by foot to three different remote district offices. The other team prepared the construction of the systems in Jumla and the next morning started the 2 day trip to Gamgadhi. Again, we had to stop over 20 times to clear the road of big rocks or to even out the big potholes in the road with shovels. We were still hours away from our destination when the clutch hose tore apart. We were forced to spend the night on the side of the road. The next morning we organized some carriers for our 250 kg of material and walked the last 4 hours to the office in Gamgadhi. After two flat tires, a broken clutch cable, a battered driveshaft, 80 hours of driving, six days of walking, diarrhea, five newly built solar plants and lots of new experiences, we returned to Nepalganj. Our help for the Nepalese is only like a little beam of light at night - the solar systems serve to ensure that people receive medical help in remote regions. But that is our mission: to bring "light and hope into the darkness in the west of Nepal . Here you got the oportunity to become part of our work. You may send a gift to support our employees.